A Story About Copper, the Metal that Runs the World, Bill Carter, Scribner. Bill Carter describes copper as “the metal that runs the world.” Isn’t that the truth? Copper is found in every house, airplane, automobile, cell phone, and computer, as well as countless other products that contribute to our quality of life. Why is copper the perfect metal? Well, it doesn’t decay or rust, it’s malleable, and it’s also recyclable. Of course, it does have to be mined, and that’s a dirty business, thanks to the air and water pollution that inevitably follows. In “Boom, Bust, Boom” Carter takes the reader to far-flung locales where copper is extracted from the earth. Places like his former hometown of Bisbee, Arizona, as well as other mining towns in that copper-rich state, including Morenci (home to the largest producing copper mine in North America) and Superior, which lies within what is known as the Copper Triangle. Much of the book focuses on how copper mining impacts communities, especially in regards to the environment. But Carter also touches on: How copper is traded on world financial markets; the growing problem of copper theft; and the personal history of octogenarian David Lowell, the world’s most famous copper prospector. Naturally, Carter delves into the business of many of the world’s largest mining companies — including Anglo American, BHP Billiton, and Grupo Mexico — but Phoenix-based Freeport-McMoRan gets the lion’s share of the attention, especially its most notable property, the Grasberg Mine in Indonesia. Grasberg is known as the most profitable mine on earth, in part because of the miniscule wages paid to its miners. It’s also the world’s most controversial mining property, “with a history of violence, repression, and environmental disasters unparalleled anywhere else,” notes Carter. But the most compelling part of “Boom, Bust, Boom” is the author’s exploration of the controversy surrounding Anglo American’s proposed Pebble Mine in Alaska, which, if built, would become the largest source of copper in North America. Carter ventures to the villages where the controversy rages, where he takes the pulse of the locals. Most seem to be against Pebble, hardly surprising, as it would threaten the health of the region’s $400 million a year salmon fishing industry. 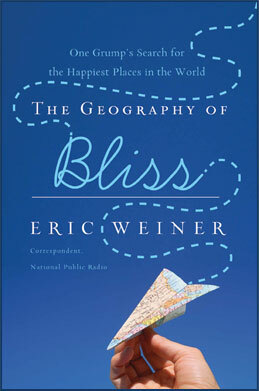 Of course, as the book’s subtitle implies, readers shouldn’t expect a comprehensive history of copper mining. Rather, Carter illustrates how copper affects people on a personal level. After reading “Boom, Bust, Boom” and considering our collective relationship with copper, one phrase should inevitably come to mind: Can’t live with it, can’t live without it. The Extra 2%—How Wall Street Strategies Took a Major League Baseball Team from Worst to First, Jonah Keri, Ballantine/ESPN Books. 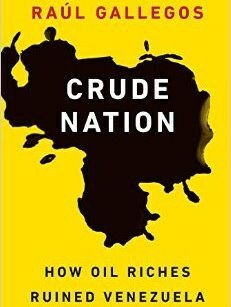 Crude Nation—How Oil Riches Ruined Venezuela, Raúl Gallegos, Potomac Books.